It still feels a little like 2014 at the busiest port on the Missouri River. The private port owned by AGRIServices of Brunswick typically follows the seasonal rhythms of the farming communities it serves. But as farmers planted seeds this spring, AGRIServices was stuck in harvest mode. 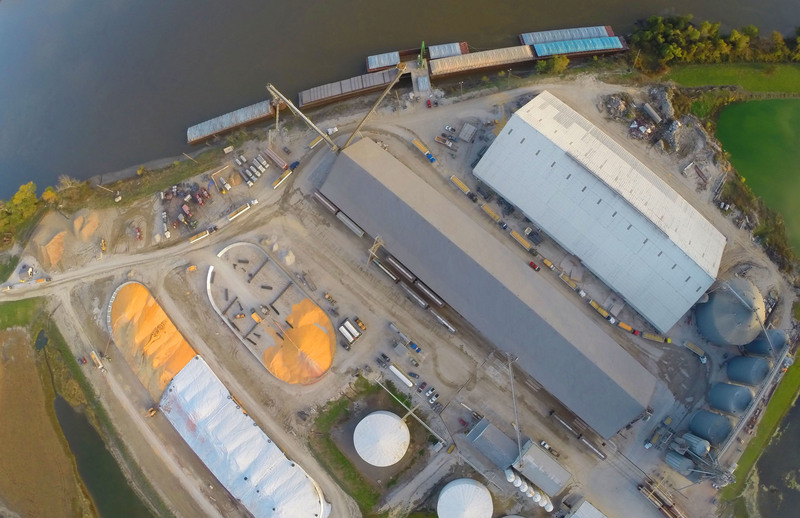 More than 1 million bushels of 2014 corn were still on the port property, enclosed in massive white tarps—holdover grain from last year’s recordbreaking harvest. “It was a huge, huge year,” says Lucy Fletcher, who manages business development for AGRIServices. 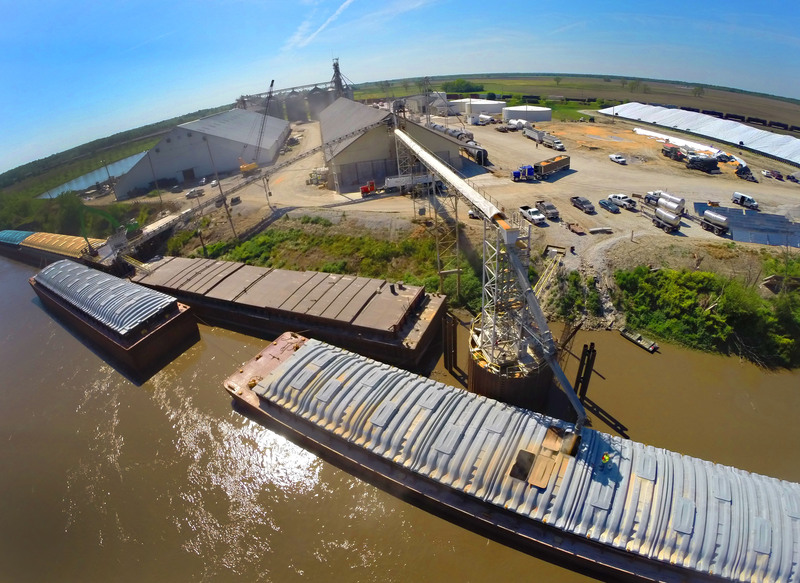 In mid-June, Roseanne Meyer, the company’s grain merchandiser, was watching grain markets from her office inside the AGRIServices headquarters building, located less than a thousand feet from the port’s barge-packed riverbank. Meyer was trying to sell and ship as much of the corn stockpile as possible before the fall harvest. She plans to have the corn barged to the Gulf of Mexico for international export, mostly to China. China has “a lot of people to feed,” she says. In terms of the number of bushels shipped from the AGRIServices port, 2014 was by far the port’s biggest year ever with 8.5 million bushels shipped, nearly doubling their previous record. In many parts of the state, the bountiful harvest overwhelmed the agriculture infrastructure. But with its river access, AGRIServices never turned away grain shipments. Even before 2014, AGRIServices saw a rising demand for river shipping. 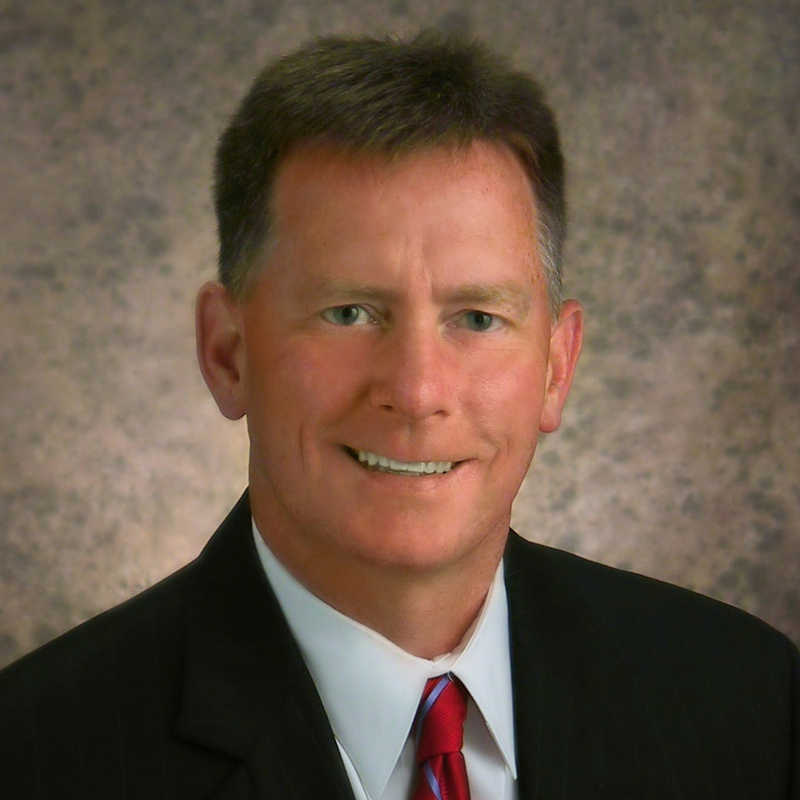 The company of 65 has added 11 employees to its payroll in the past six years. The company’s future also looks good. Earlier this year, federal transportation leaders estimated the nation’s freight traffic will increase 45 percent over the next 30 years. With many of the country’s roads and rails already congested, some industry leaders believe the nation’s shipping currents could begin to move toward underutilized waterways including the Missouri River. As this happens, AGRIServices stands to benefit. The rising importance of ports along the Missouri River comes despite an ongoing debate over whether the government should continue to manage the river for barge transportation. Those who oppose Missouri River barging note that more than 80 percent of the material currently shipped on the Missouri is sand and gravel, which is harvested from the river and transported less than a mile, according to a US Government Accountability Office study. So why continue managing the river for longrange, high-volume shipping? Missouri River barging advocates respond, in part, by pointing to the success of AGRIServices. The company stands as proof of concept that the Missouri River is still a viable, dependable shipping route. Over the years, the barge traffic generated by AGRIServices has played an important role in the river remaining open for navigation. With shipping trends beginning to favor barging, there is increasing interest from others along the river who want to dip their toes in this Big Muddy industry—click here to read about some of these efforts. Rather than viewing these ventures—some of which are being publicly funded—as competition, AGRIServices welcomes additional traffic on the water, says Kevin Holcer, the company’s wholesale fertilizer manager. Holcer says, if the other ports succeed, the additional barge traffic will help push sand and silt out of the river’s channel, ensuring it remains deep enough for navigation. 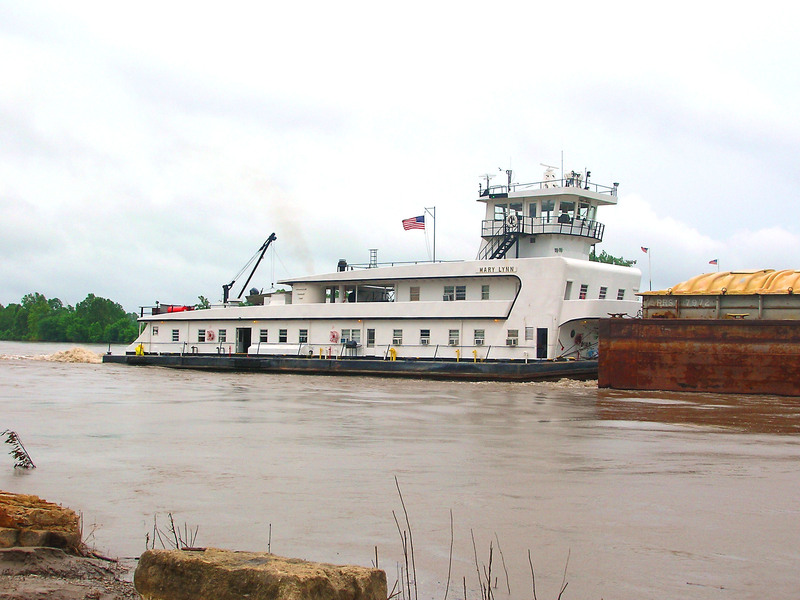 Having more barges on the Missouri also strengthens the argument that the river remains an important transportation route for the nation’s future. “When the river is being used, it’s good for all of us,” he says. I found it very interesting when you talked about the record year for corn and how a lot of it needs to be barged to the Gulf of Mexico before it can be transported to foreign countries in need of the export. I’m trying to learn more about how products and food are shipped overseas and what place barges and other sea transports have in that system. Thank you for the information about how having river access can really help with getting things shipped out even in years where the food was overwhelmingly abundant.